‘My Element Rules’ is a teaching resource I developed to help students understand classification of matter, organisation of elements in the Periodic Table (based on their chemical and physical properties), arrangement of atoms and subatomic particles, and the coming together of elements to form molecules/compounds (during reactions). This resource is simple, fun, creative, hands on, collaborative, highly engaging and easily connects the abstraction of concepts such as atoms, molecules, compounds and their interactions with concrete manipulatives that provide information in a visual-special context as well as illustrate the various arrangements of matter on a level of particles. I believe visualisation is a powerful tool – it allows students to better understand difficult concepts and lays down solid foundations for further exploration of abstract topics inherent to science and scientific thinking. This resource links with a unit of work in chemical sciences – Elements, Compounds and Mixtures – I developed as a part of this course of study. It contains the first 36 elements, majority of which are the most abundant according to their relative abundance on the Earth’s surface (Sheehan 1970) and thus form a variety of common molecules/compounds, which also frequently interact with each other. The periodic table is the most important chemistry reference. 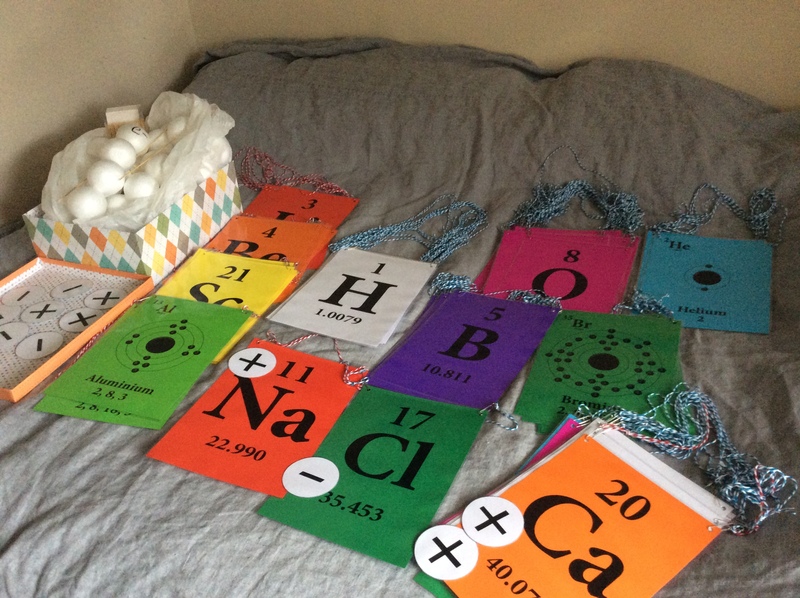 Being familiar with the elements occurring in the first four periods of the periodic table is absolutely necessary as it provides a platform for understanding of more difficult concepts in the studies of chemical sciences. Congratulations! You have made it to the bottom of this page! Find attached links to useful materials that accompany this teaching resource and unit of work.